Best of 2007 - GameSpotting! 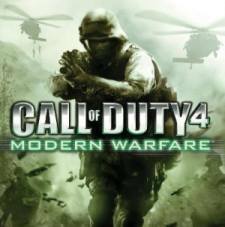 The so called “best video game deal of the century” is number 2 on the Best of 2007 list. 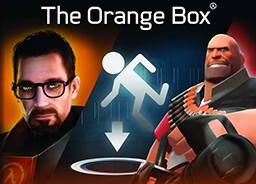 The Orange Box lives up to this title because it is an awesome deal. I’m not much of a Half-Life fan, I was more excited about the other features in the box. Specifically Portal and Team Fortress 2. Though I did play a bit of Half-Life 2: Episode 2. Portal, though short, was definitely sweet. GLaDOS was hilarious and was a great bad girl for the game. Portal lived up to most of the stuff I hoped it to be. It had a great deal of difficulty to it though. And at times I wished that it was longer. The commentary was excellent and contributed to the humor of the game. Especially with the best credits song ever, Still Alive. Team Fortress 2, after several years of delays and rumors, TF2 finally released. TF2 is a fragalicious game, with funky characters, set in an almost Meet the Robinsons style (the book not the movie). What can I say? It’s a fun game, and to really get the gist of it, you should just play it yourself. Oh and Steam is the worst thing ever. Better to get the Orange Box for the Xbox 360. Half-Life 2: Episode 2, The newest episode features a ton of new visual effects and changes in physics. Most games this year have been short in story, Half-Life 2: Episode 2 adds onto that list of games with short completion times. 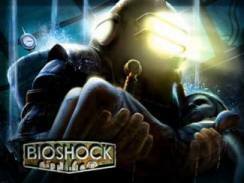 However, the new graphics and the improvements of Alyx as a teammate and several plot twists kept this game interesting. All together, The Orange Box proved to be a bunch of games and an incredibly low price. Cheap high quality games are always appreciated. Categories: Best of 2007, Gaming, Wii. When I look at Super Mario Galaxy, I am reminded of two things. Super Mario Sunshine and Super Mario 64. I think I can relate with other reviewers out there when I say Super Mario Galaxy feels like a sequel to Super Mario 64. 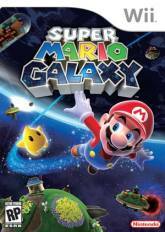 Super Mario Galaxy (referred to as SMG for the rest of this), feels like a revival to the series. From its new worlds based on galaxies with planets inhabiting those galaxies to the Wii motion controls. The local paper really loved its gravity, with the ability to walk under platforms and around worlds, though I had trouble doing so easily. One of the best parts is the ability to have two players at once, something not seen in a Super Mario game for awhile (I think Super Mario DS might have that feature though). From its cute characters to its new powerups, bosses and somewhat new story, SMG is a solid game, and great for any new Wii owner. The game is a bit short though, even with it’s bonus stars and other things, I was able to get through most levels without losing one life (exceptions: one race yourself level and that ride the manta ray level [that’s hard to do]). SMG is now a Nintendo classic for years to come. Categories: Best of 2007, Gaming, Xbox360. Making it into the top 5, is Halo 3, the “overrated” future shooter from Bungie and Microsoft. Many complain that it’s an overrated game and it doesn’t live up to its name. I can somewhat agree and mostly disagree with that statement. 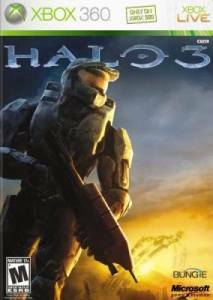 Halo 3 is a great game, I especially like the fact that you have your friend, the Arbiter with you (which is nice because sometimes, I miss a few enemies and knowing the marines, they are likely to die to those enemies then kill them). I would agree with the fact that Halo 3 is over-advertised though. Microsoft needs to calm down and stop shoving Halo stuff in our face. And some of the music sounds like MIDI file stuff. However, Halo 3 does deserve to be in the Top 5, I mean how many games do you know that have the ability to make real maps, on a console? Any besides Tony Hawk Pro Skater games? That’s what I thought. Basically put, the Forge is really cool. I haven’t heard or seen a feature like that in a very very long time. Especially one that is pretty good. Overall, Bungie did a great job with the game (however making half the game fighting the flood was a bit over the top). And when you finish the story (a few hours maybe due to its length), you can always play online. There are like 85 bazillion (overstatement) people who play anyways, though skill levels might not match yours. It’s worth playing at least once, the gaming experience is spectacular.